There have been several deaths in and on the site of the house I live in with my mum and my siblings. The only ones that have been made clear to us is of a little girl who drowned (I live near a farm and the street that I live on used to be farmland) and a "dominant" male who's intention is unclear. Though I feel that there are more than these two. The house has always been active and things would always disappear/go missing, you'd see things out the corner of your eye, you'd hear things when you're the only one in the house, the front door will always slam shut when you're alone and my dogs go mental because they can see something but it's recently got more active in my opinion. Even now, I'm in the built on extension and I can hear what sounds like furniture being dragged across the floor and it's broad daylight. We're actually the longest people to live in the house (we've lived in it about 14 years?). Also one of the spirits here is apparently violent and it strangled my dad in his sleep (before him and my mum broke up) and he refused to sleep up there any longer. 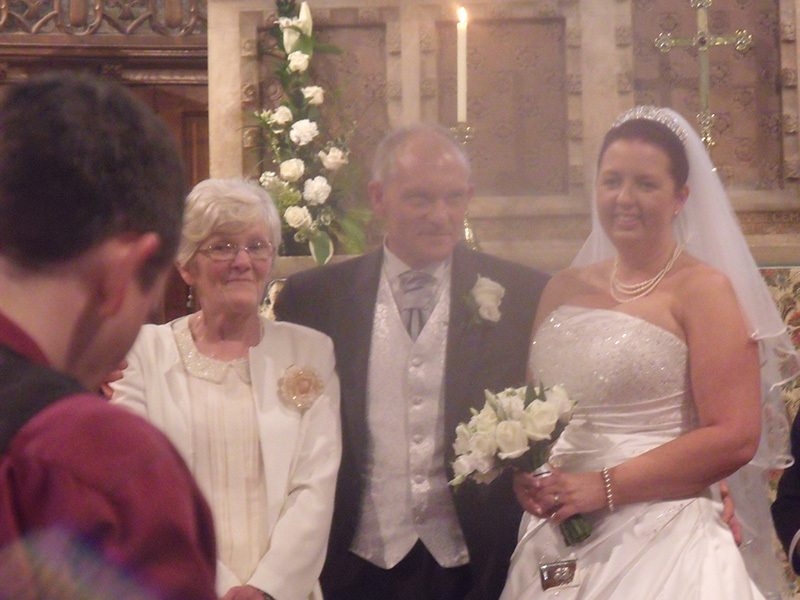 Last year me and my mum and a couple of other family members went up to Durham for my Great-Uncle's and Auntie's wedding which was in a standard church. After the ceremony we all took photos of each other. I have a plain, old digital camera and my mum has a professional photography camera and we were also taking photos of each other. Mine didn't get anything (and I was taking photos of the graveyard and everything) but my mum's photos turned out weird. There's no explanation for it to be fair because we looked through her other photos that she had before and the ones after and it hasn't happened again. In these photos, my Great-Uncle and his wife have a white mist over them on all the photos they have together. This doesn't make sense because no one was smoking, there was no mist! My Uncle Jason, my cousin and my Auntie Lisa were over on the other side of the room at the time. 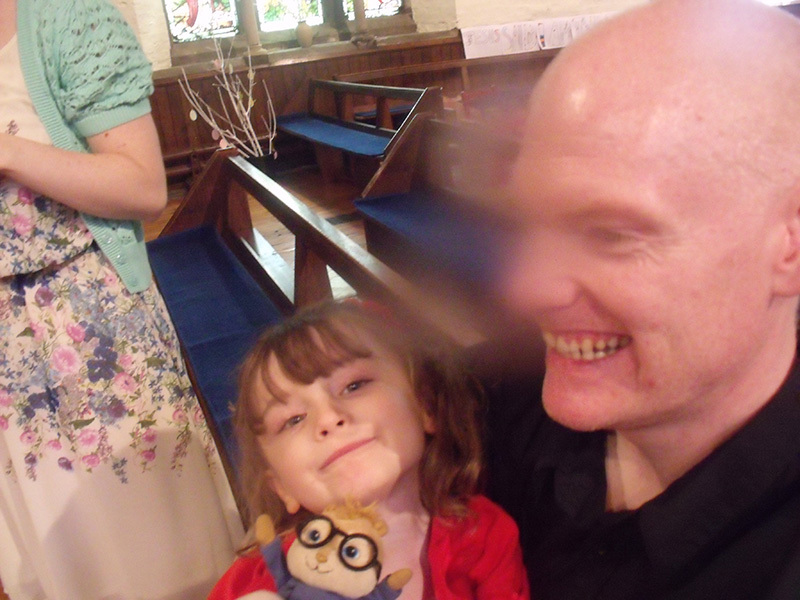 My mum took 2 photos of my Uncle Jason and my cousin together and they look as if they are being blurred into each other, which again doesn't make sense. 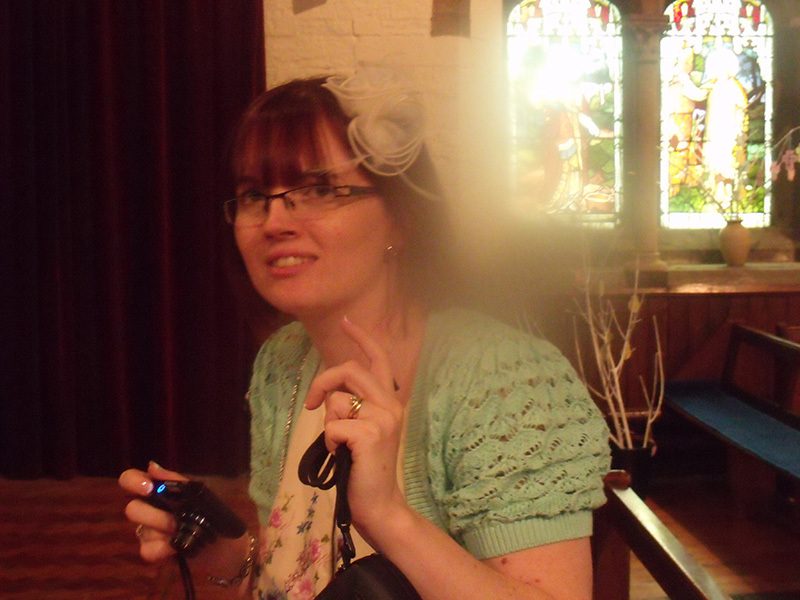 My Auntie Lisa also has a blur right to the side of her head and it's pretty unmissable. The following comments are submitted by users of this site and are not official positions by yourghoststories.com. Please read our guidelines and the previous posts before posting. The author, Laura-Teri, has the following expectation about your feedback: I will read the comments and participate in the discussion. Greetings, Laura-Teri, and welcome to YGS. I'm going to agree with BrokenTree's assessment because there is either a reflected light (camera flash from your uncle's forehead), a direct light source in the frame (sunset through a window, a candle), or a combination of the two (picture 3) and the blur is in roughly the same location in each image. I suspect there may be a small chip or fracture in the lens which is more apparent when an intense light is present in the image. If it wasn't a problem with the camera I'd expect this "mist" to be in different positions. It isn't. So as BrokenTree said it is more likely a problem with the camera. I have, after all, lived in plenty of haunted houses. Including one where they actually kept the bodies of the dead in the parlor after a terrible accident for "viewing" as the church basically held a mass funeral. Mists, orbs, etc. Generally move about. Somehow, I didn't realize it had been... Literally years. Time flies, I suppose! There could be a problem with the camera itself. BrokenTree was right that the blur all seems to be in the same area, which could point to a problem with the lens, ect. That is a lot of activity in the house. Hi Laura-Teri! Thanks for writing your article. They do not know where they are or that they have passed so they go about their business as they would if they were alive. However, every now and again, they manage to move something in the house like a door or maybe, an ornament. It's not malicious, maybe they were just going about their day and happened to move something without meaning to. I believe this to be a camera problem. 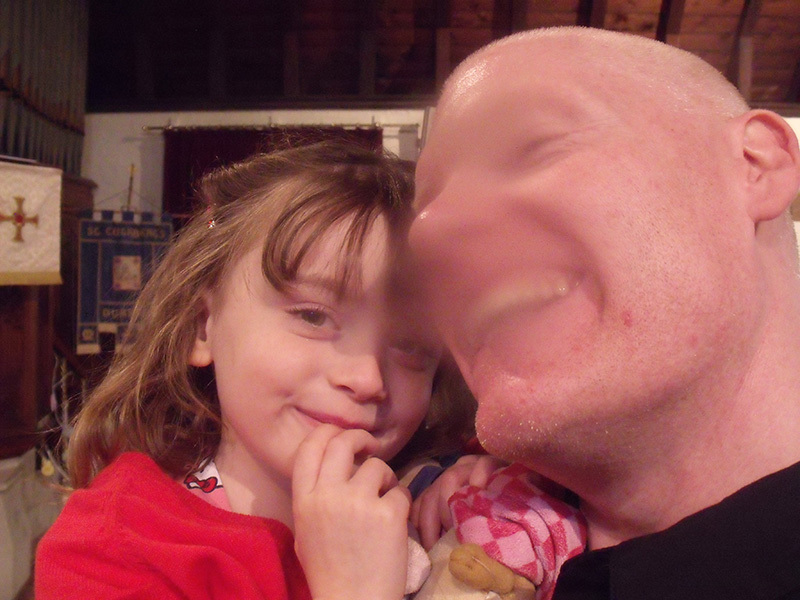 If you look at each photo, the blurriness appears to be in the same place in all the photos. I would take the camera in for repair. © The ghost story White Mist Over Them is copyrighted to Laura-Teri. Edited by yourghoststories.com.